This summer, I'm winning at this “cooking at home” thing by picking up lots of fresh produce and ingredients at Walmart. We're having homemade paleo or vegan meals most nights and I am now spending tons of time behind the stove. But we all know that when back to school comes around, it’s way too easy to start grabbing fast food or frozen pizzas again. That's why I'm experimenting with quick, easy meals with fresh, tasty ingredients before summer's over. 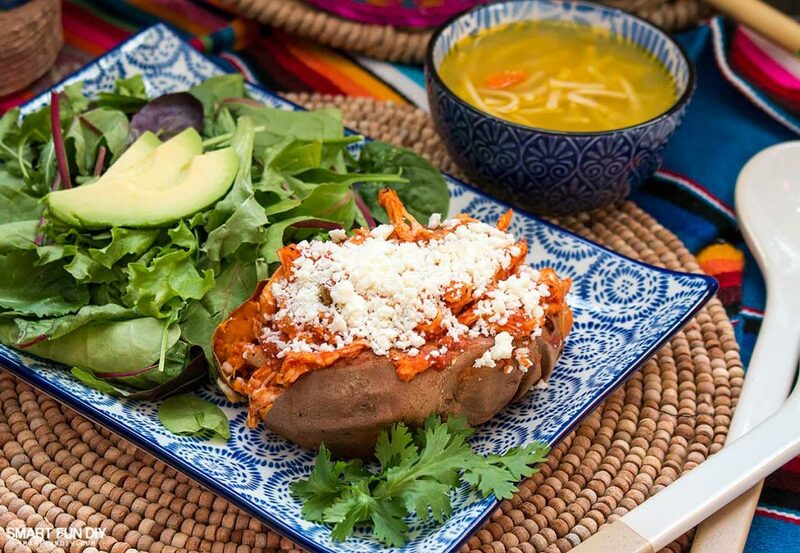 Like this Mexican Baked Sweet Potatoes Recipe that my family loves … it's so simple and easy that it's surprising how yummy it tastes! I figure our families are probably a lot alike. I'm trying to eat smarter meals, usually going vegan for two of my meals each day. My husband acts offended if I suggest making a dinner meal without meat. And the kids wrinkle their noses when I start talking about things like “spaghetti squash” or “zoodles”. Are you dealing with this too? 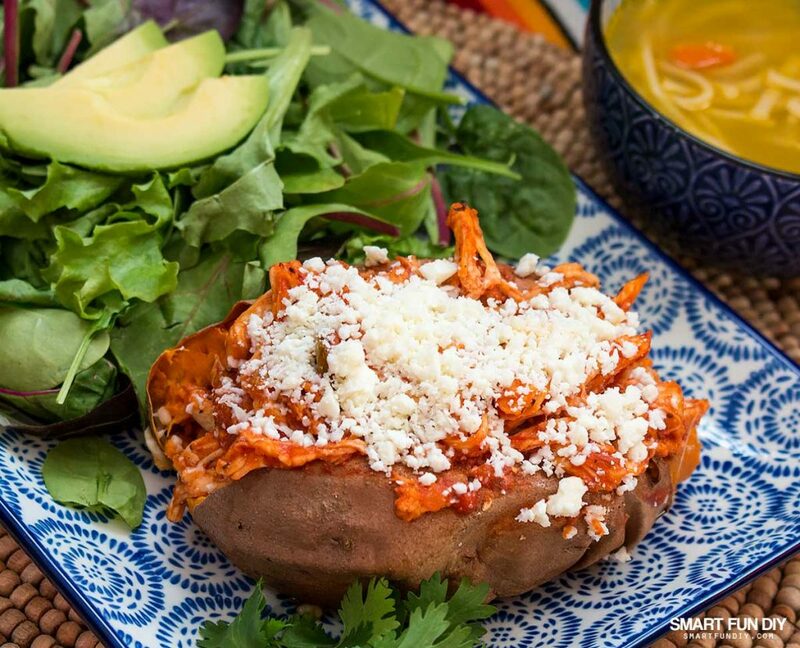 As if cooking on a weeknight is not hard enough, now you have everyone's needs and wants and desires to deal with when all you want as a mom is a happy, healthy family. To me, that means we need veggies at dinner! As much as fresh veggies are amazing, preparing them takes time too. I was gonna try this whole meal prepping deal, you know where you cook for the whole week and portion out your food into these cool containers? I got the containers … but the only food we put in them are leftovers! And my family doesn't even like to eat leftovers so there's kind of no point to this whole exercise in my house. I'm gonna mark that one as a “fail”. But what if we looked at meal prep a little bit differently? When we were remodeling our kitchen, I looked for an energy efficient oven to install in our kitchen. I found out from the home improvement store manager that “energy efficient ovens” do not exist … that's why I couldn't find one! Did you know that it’s better to run your large appliances, like the oven, during off peak hours at night and on the weekend? I checked with my local electric company and they told me that the most affordable rates for power are on the weekends and between 7pm and 9am during the week. Check with your local utility company to see what their off-peak hours are and when they recommend you run large appliances for the best rate. Maybe those meal preppers are on to something! I started thinking about what I spend the most time cooking during dinner time; meat, potatoes, and other dense foods like squash. Oftentimes, I am cooking these foods in the oven because that's an easy way to cook without having to stand over the stove. 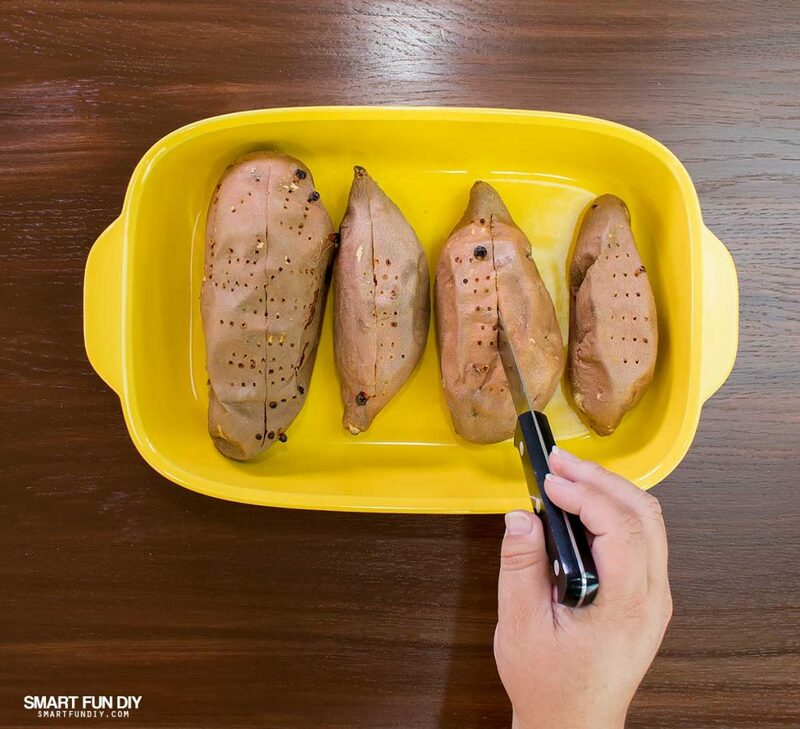 And since potatoes take a long time to cook, they need to be cooked earlier in the day, when electricity costs more. What if we cooked these denser foods, that need a longer cook time, on the weekend? During the week, we'd just need to put the meal together rather than cook everything from scratch. That's what I had in mind when I created this recipe. 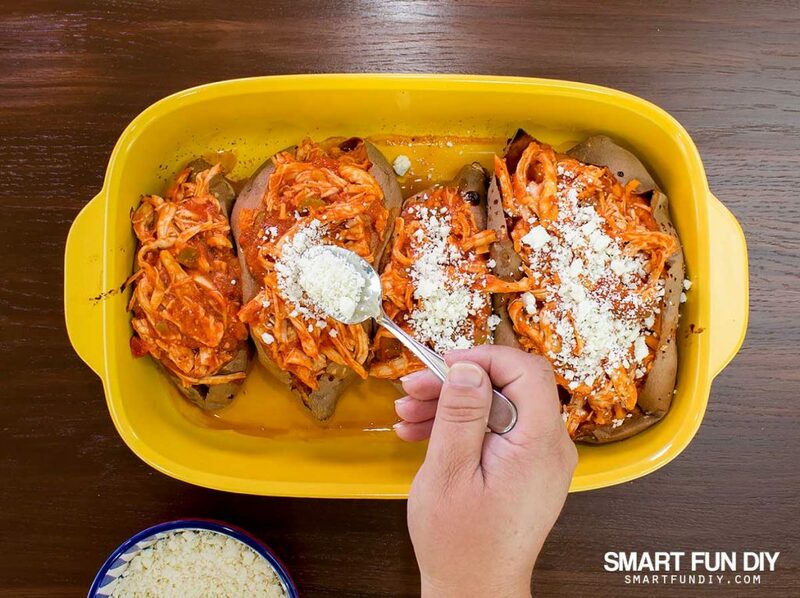 You'll need to cook two chicken breasts and 4 sweet potatoes for this meal, baking them and then storing them in the fridge to use later in the week. 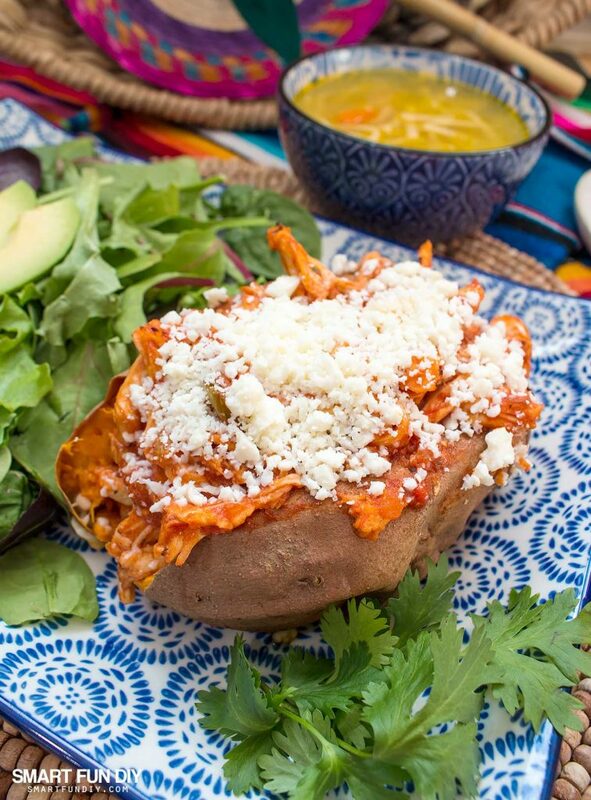 If you want to cook this recipe tonight and don't have time to prep on the weekend, grab a cooked whole chicken from the deli section at Walmart and bake the sweet potatoes in the microwave. You'll only need the two chicken breasts so you can save the rest of the chicken for another meal. The other challenge with cooking during the week is all of the labor involved in chopping and preparing fresh vegetables to use in meals. I can easily spend several hours a week just chopping and washing veggies. On those school nights when there's soccer practice and a choir performance at the same time, no one has the energy to chop all kinds of veggies. Rather than prepare everything fresh, I've been stocking the pantry with canned goods that are made with handpicked vegetables, like Pace® and made with real ingredients you can see, taste and smell, like Prego® Italian Sauce. Our shopping rule is if you can pronounce everything on the label, it's a winner! I've made plenty of recipes with each of these sauces on their own but what would happen if you combined them together? At the heart of this recipe, I wanted simple flavors and ingredients that I know my family will love. I love using spices to cook but one of the keys for keeping this recipe simple was to skip the spice rack altogether. I wanted the southwest flavors of Pace® but I needed a touch more sweetness so this dish wouldn't taste like I just spooned salsa on top of some potatoes and called it a day. Your family can totally tell when you're phoning it in! What if I mixed Prego® Italian Sauce and Pace®? I mixed one cup of each sauce together and heated them in a sauce pan. Then I tasted … wow, these two sauces were surprisingly delicious together!!! The tang and textures of Pace® complimented the homemade, rich flavor of Prego® Italian Sauce that comes from hours of simmering. Once I had tested the flavors to see how they paired, it was clear that this sauce is going to be a go-to I'll use over and over again. 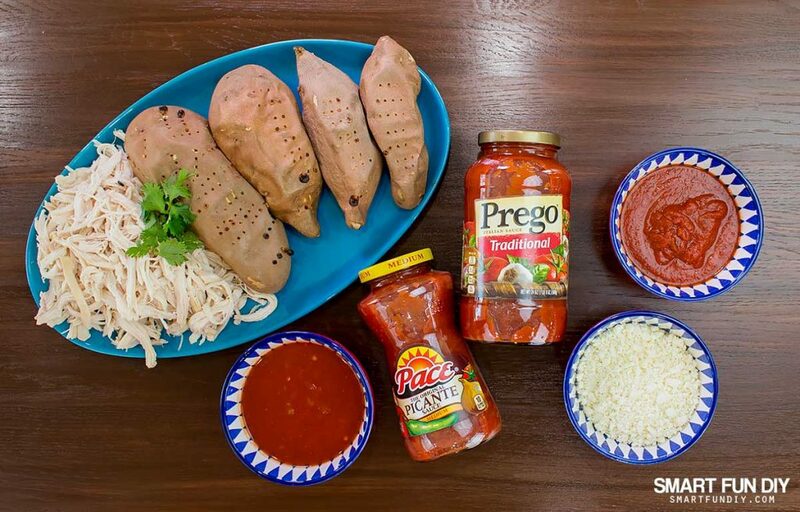 Prego® Italian Sauce and Pace® combo to flavor another dish another night. Every ingredient in this recipe is measured out by one cup so you'll also save time on washing dishes plus it's easy enough that the kids can help. 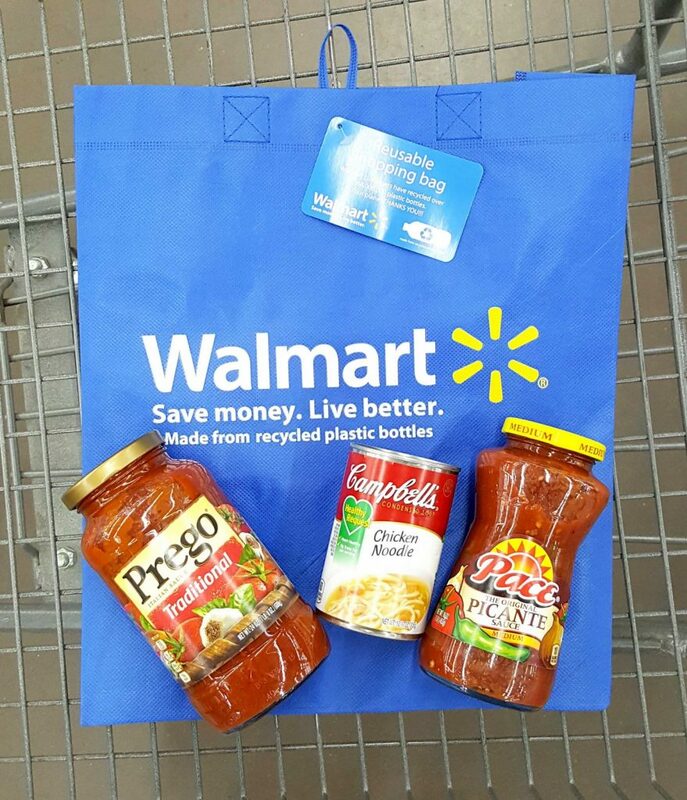 Head to Walmart to grab all the ingredients for this dish … you can find Pace® in the international food aisle and Prego® Italian Sauce (Traditional) in the pasta aisle. 2. 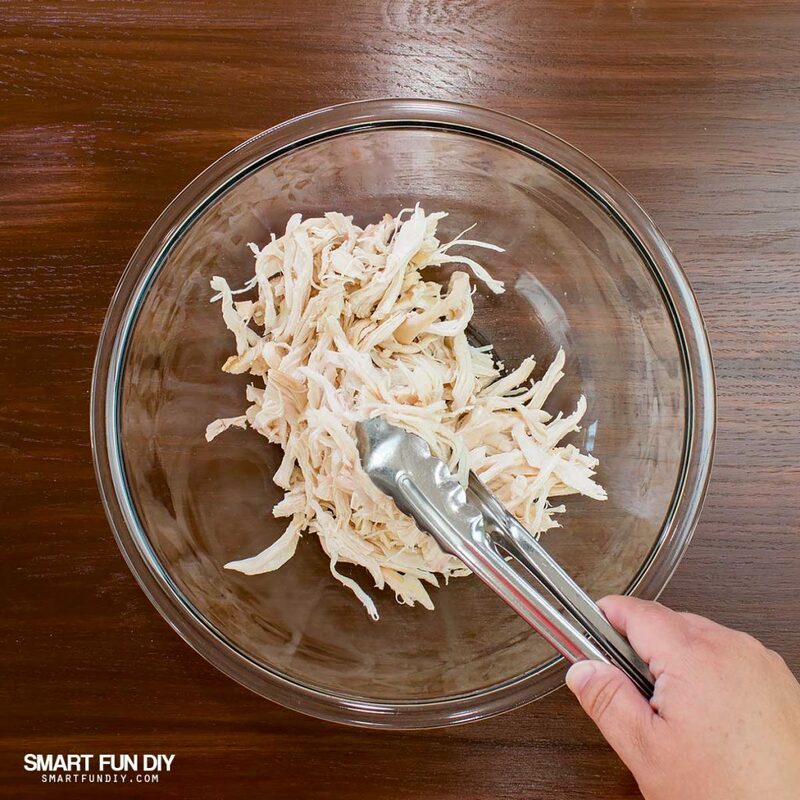 Place the shredded chicken in a large mixing bowl. 3. 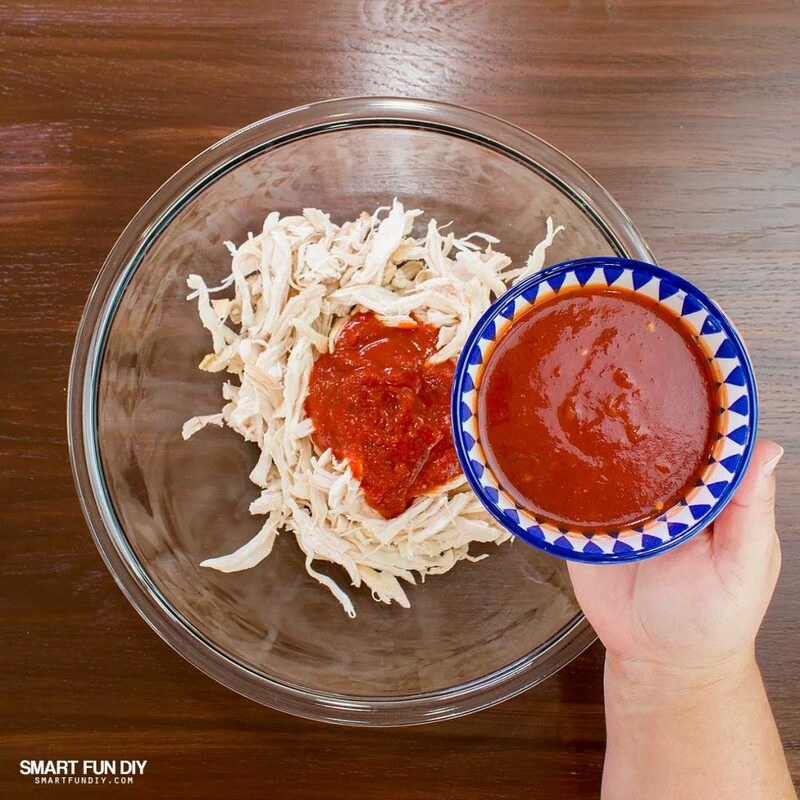 Pour the Prego® Italian Sauce and Pace® sauces over the shredded chicken. 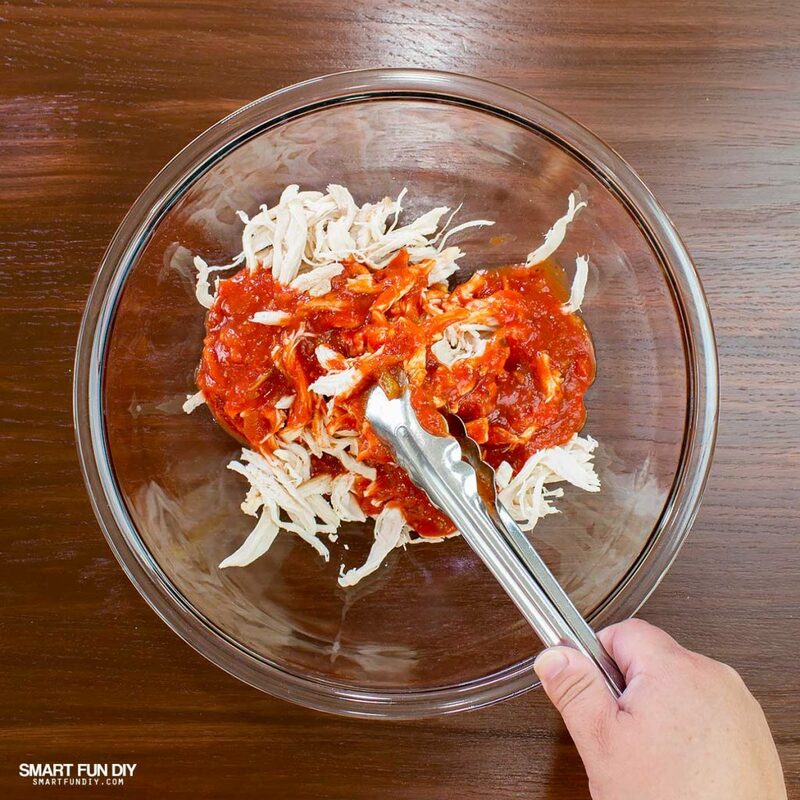 Mix until the chicken is coated with the sauce. 5. 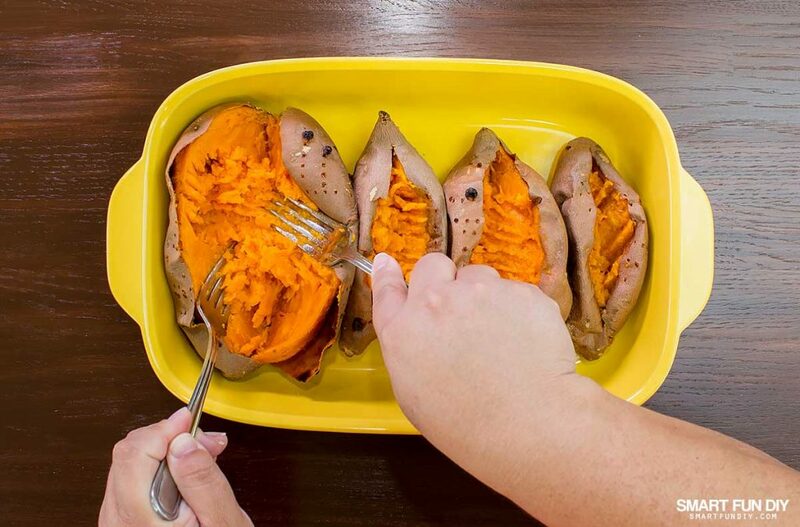 Spread the sweet potatoes halves apart and smash the insides with a fork. 6. Spoon the chicken mixture over each potato. 7. Bake at 350ºF for 10 minutes or until the potatoes are heated through. 8. 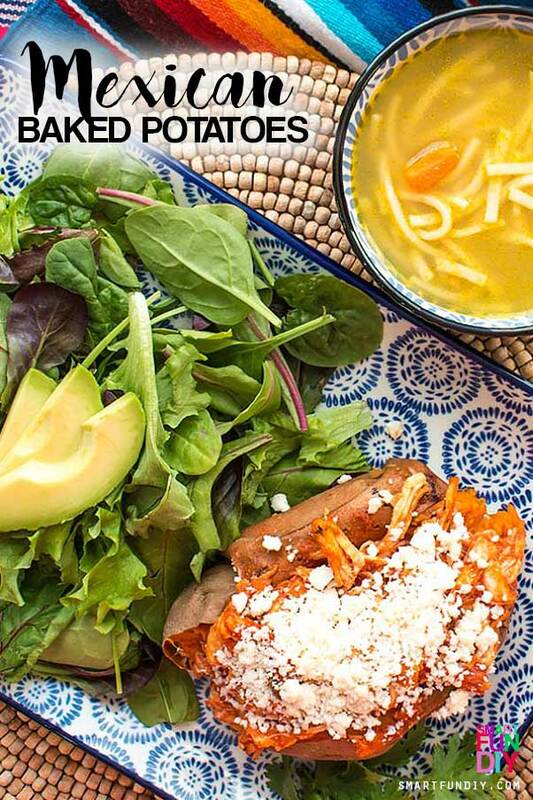 Spoon cotija cheese over the top of the potatoes. 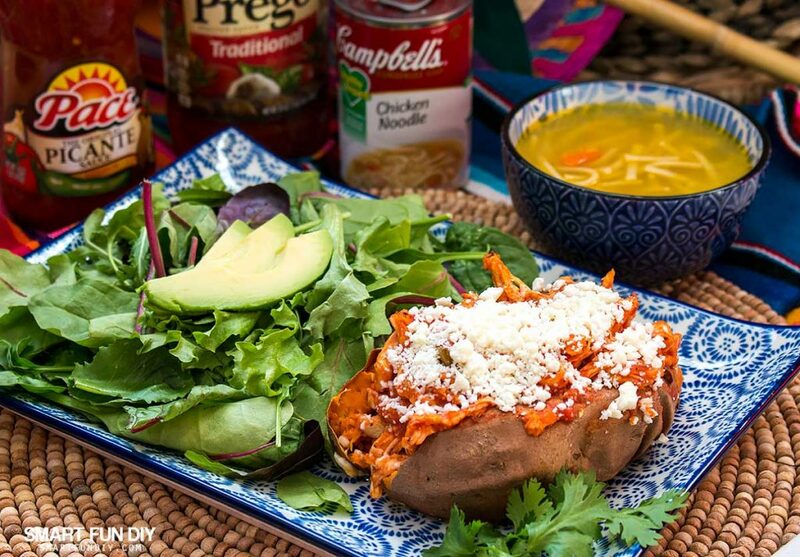 Serve with a side salad topped with sliced avocado and a warm bowl of Campbell's® Condensed Chicken Noodle Soup, a quick and easy option that will please everyone. Ready to shop for delicious Campbell Soup Company products ingredients? Hover over the photo to click through to Walmart.com and purchase them! Visit the Campbell's Shortcut Meals website and get the coupon to start saving on 8 different Campbell Soup Company products! The coupon will be available starting this Friday, July 14th! 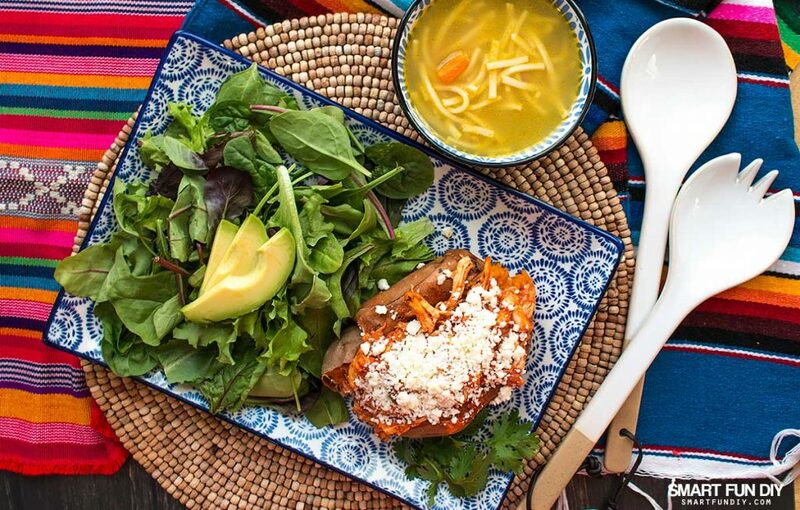 What's your go-to meal for a quick weeknight dinner? I'd love to hear about it in the comments!! 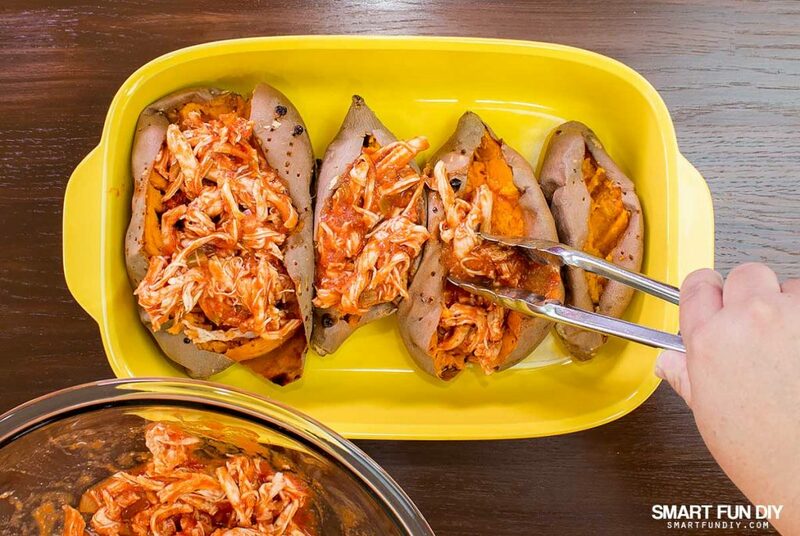 Looks and sounds delicious, a unique spin to sweet potatoes. I seriously wouldn’t have thought of the pairing. Was it a hit with the family?